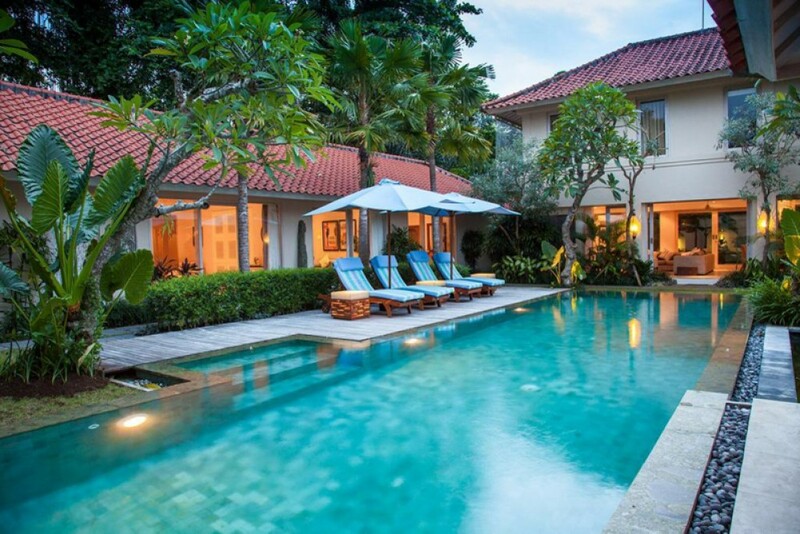 An exquisite four bedroom contemporary lux villa in Mertasari has become available for sale. 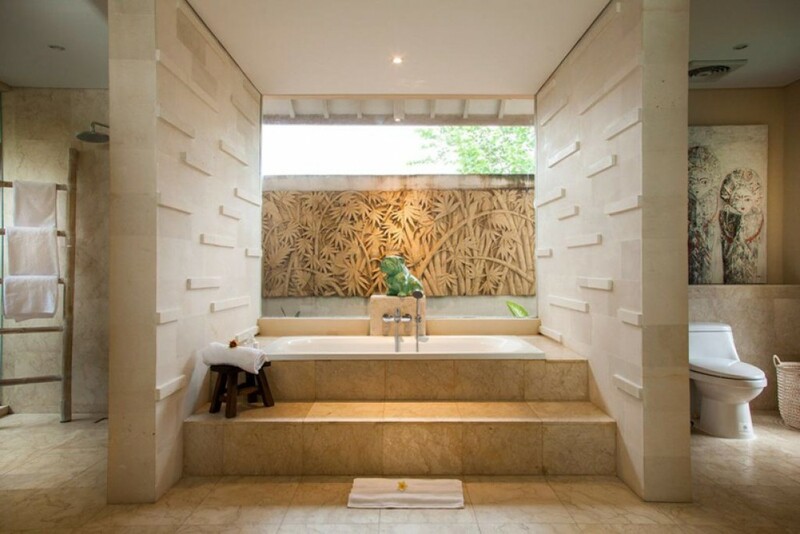 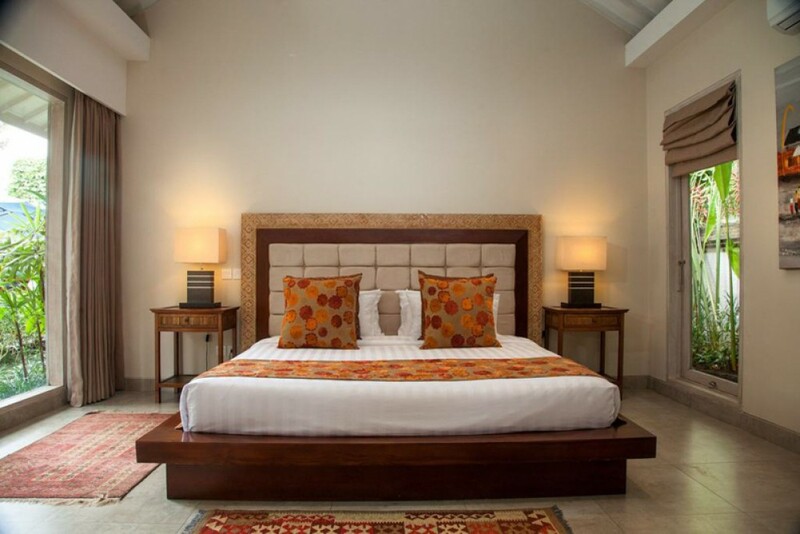 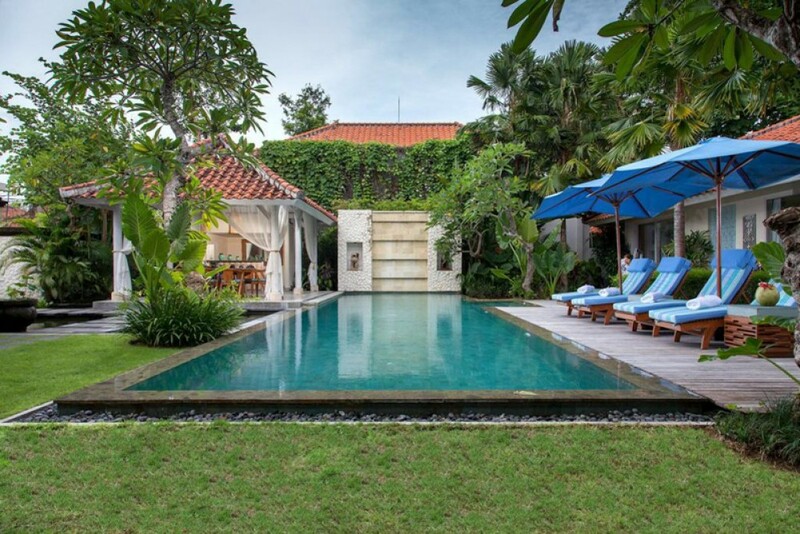 Just a five minute walk from Sanur’s pristine beaches, the villa is beautifully curated by Bali’s leading famous interior decorator. 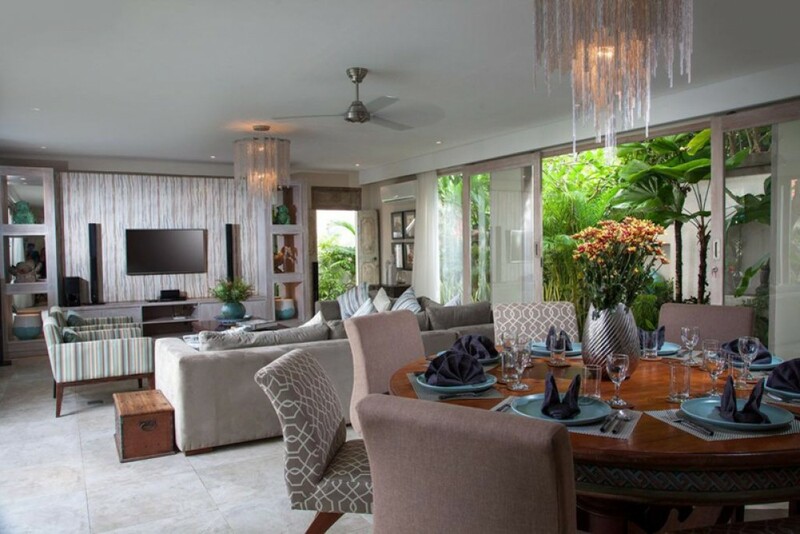 Soft cushioned couches, tropical accents, tasteful dining chairs and stylish finishes are showcased from the hand crafted light fittings and bespoke artworks to the fabulously equipped chef’s kitchen. 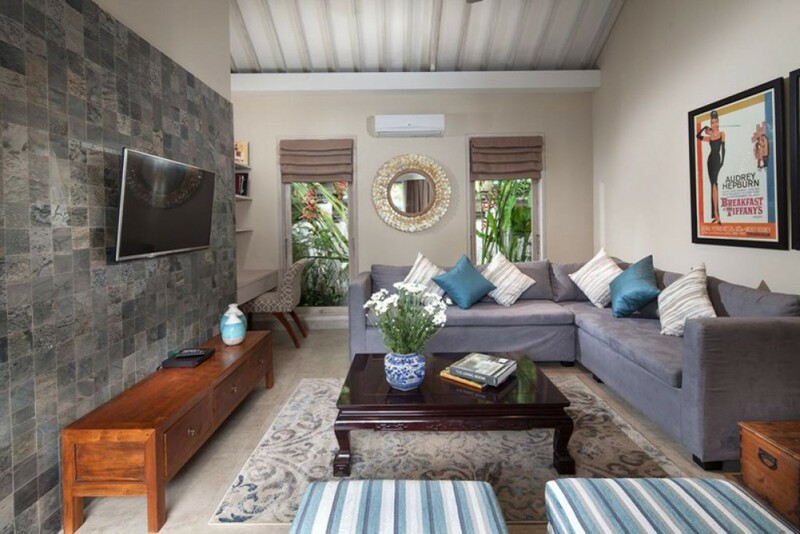 Set over 10.5 are of tropical landscaped gardens, the property has an enormous sparkling blue 20 metre pool flanked by sunbeds and umbrellas on a timber deck and lush green lawns. 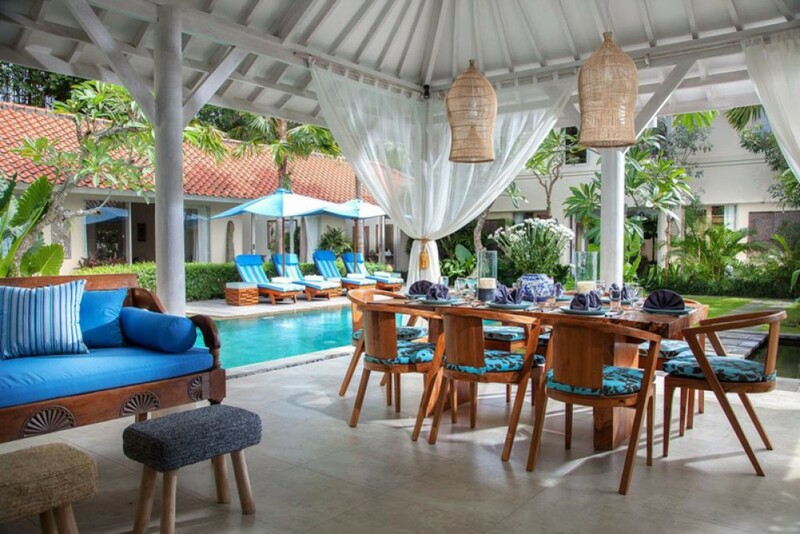 A traditional Balinese outdoor bale – or pavilion – overlooks the pool and is dinner party perfect with a day bed and Scandinavian style dining table and chairs. 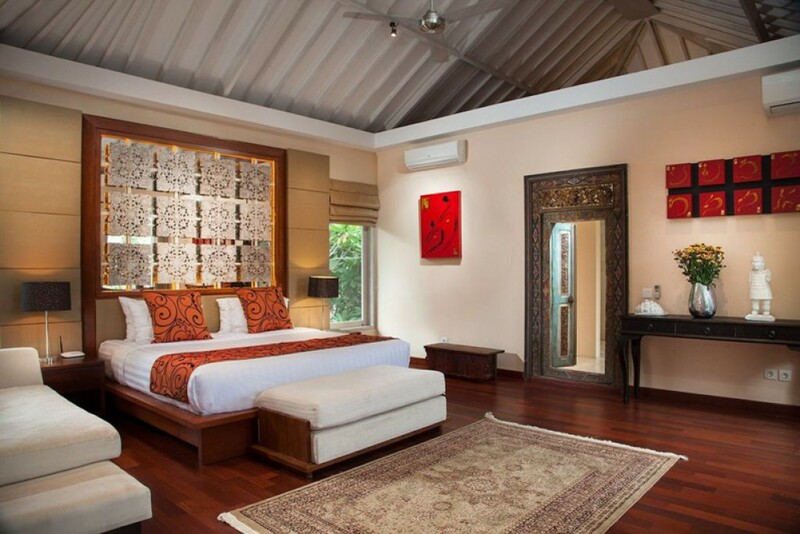 Sheer white curtains can closed to create a private massage or yoga space or drawn back to float on the breeze. 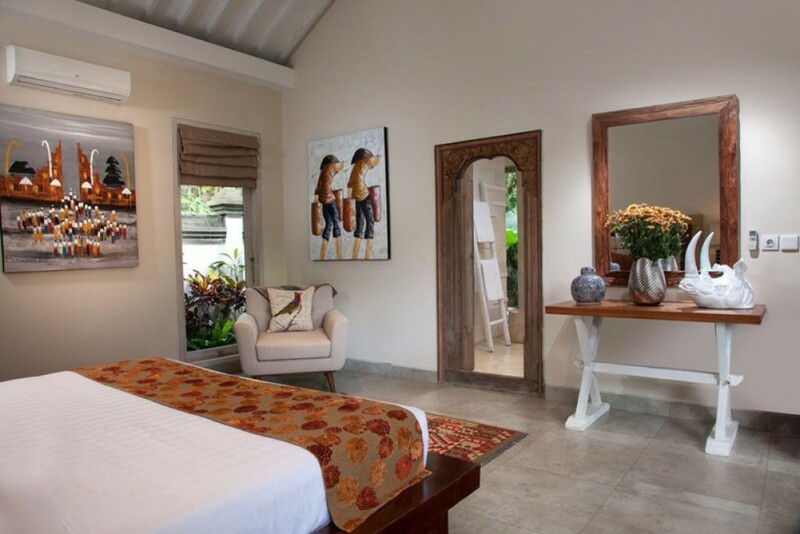 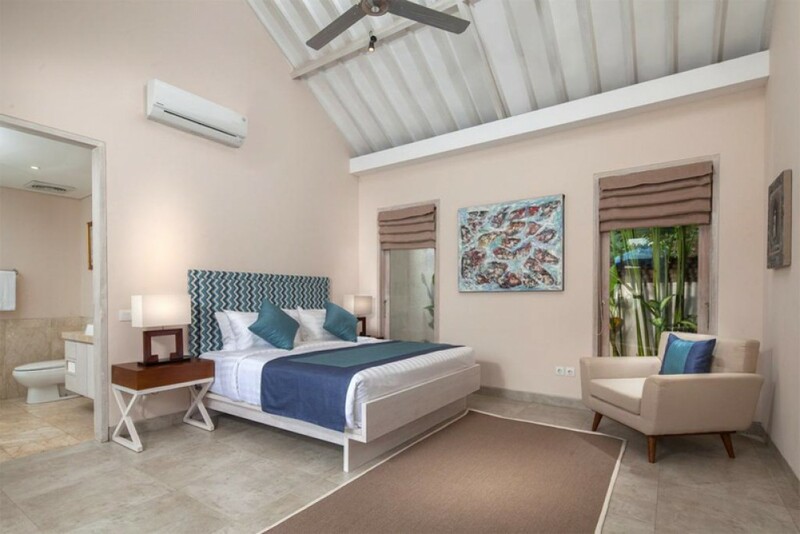 The master bedroom is enormous with exposed beam ceiling, a king bed, chez-lounge, a carved antique Balinese doorway, choice art, double ac units, ceiling fans and a huge attached bathroom with a step up to bath tub and separate shower. 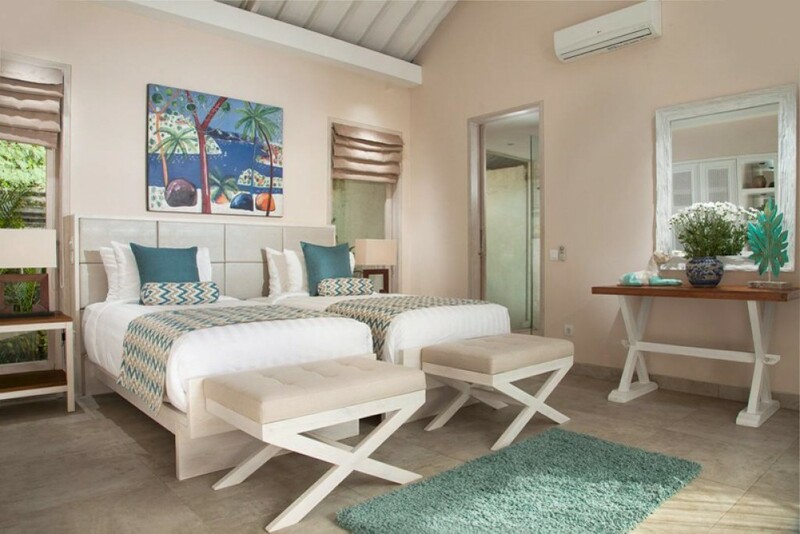 The remaining three double bedrooms have luxurious fittings, queen and single beds and styled in a beautiful coastal marine blue and white aesthetic. 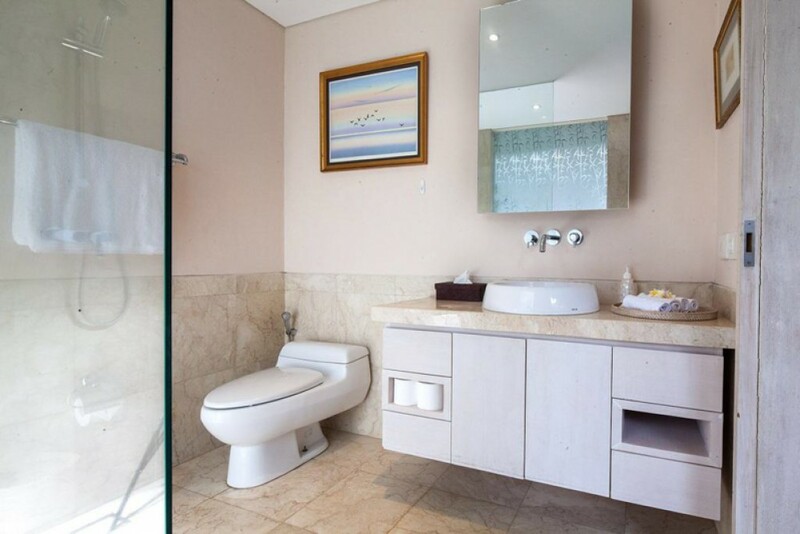 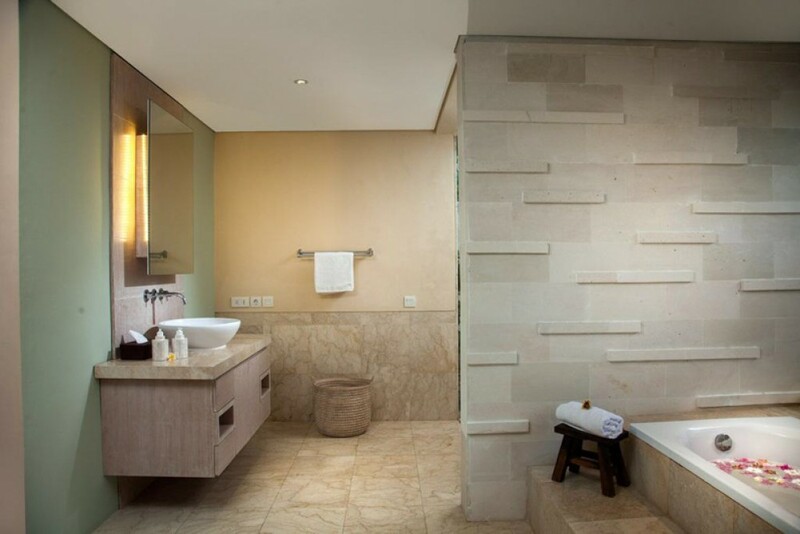 Each bedroom has an attached private ensuite bathroom of excellent quality. 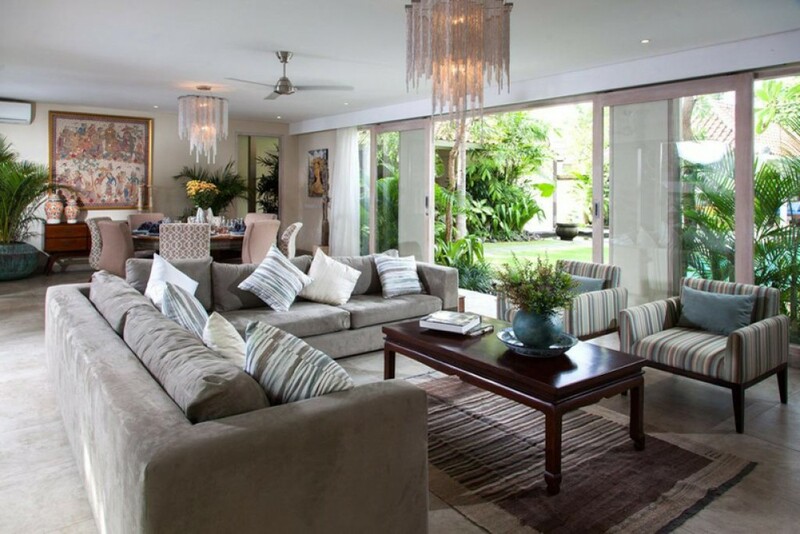 A private audio-visual studio makes a cool escape with a huge corner sofa, a polished opium table, striped ottoman’s and excellent sound. 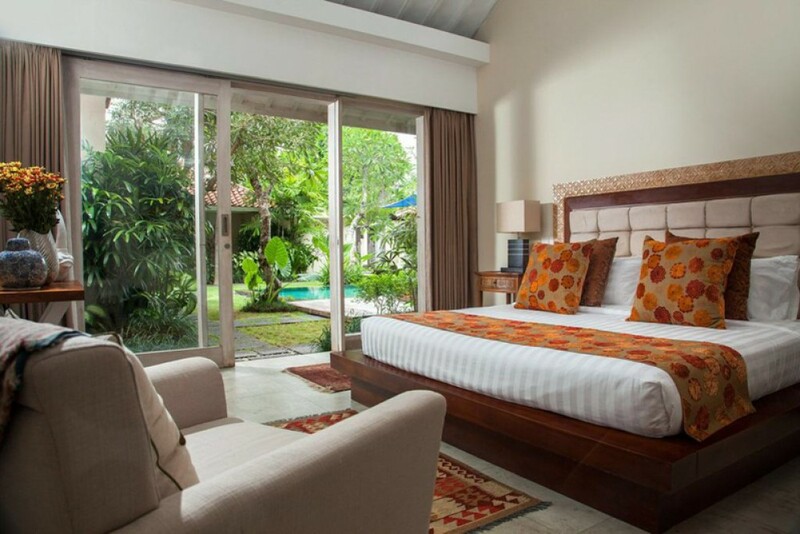 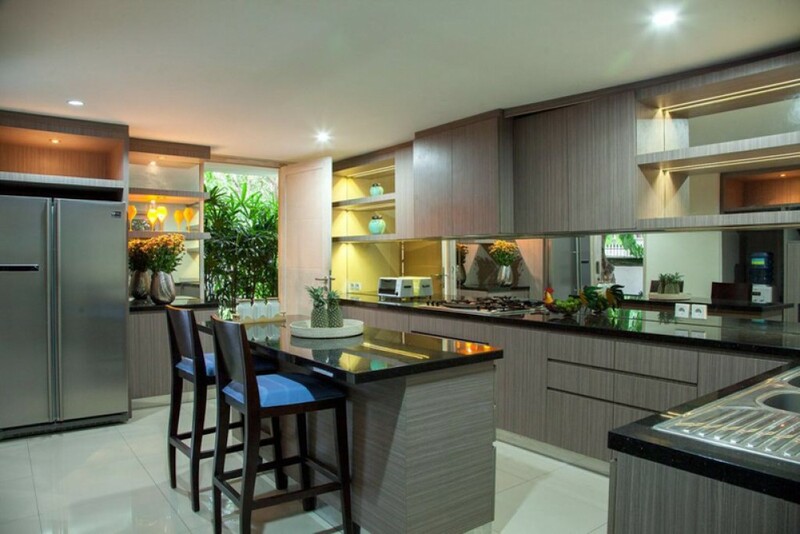 The villa has been created with the needs of a family plus parental privacy in mind and is in a gorgeous location that is close to beautiful Sanur while being whisper quiet.